Eggs are packed with protein, sulfur and biotin, all of which contribute to shiny, healthy hair when eaten or applied as a hair mask. 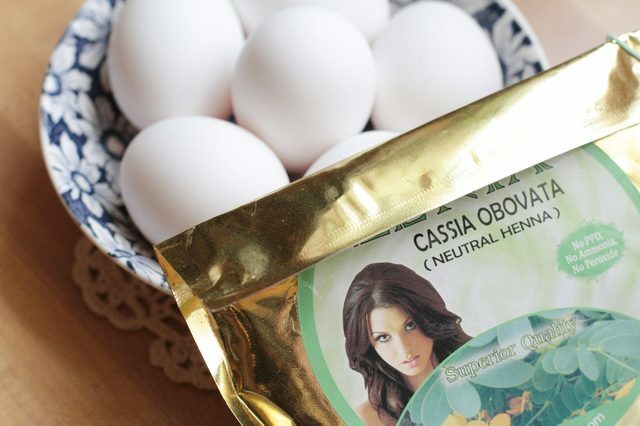 Because of the quick spoilage rate of this natural product, commercial hair products don’t contain eggs. Yet, home treatments using eggs require little time, expense or experience. 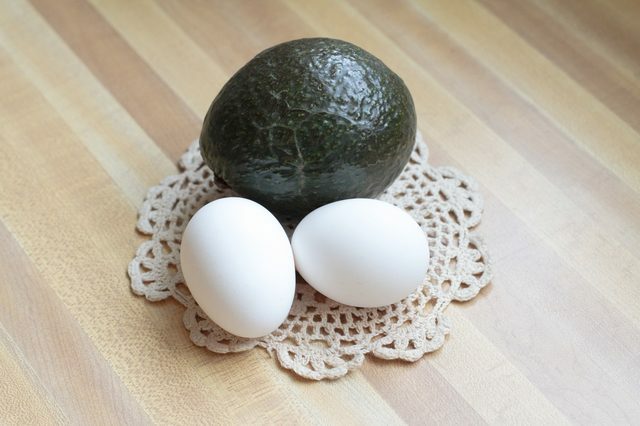 Use either whole eggs or egg yolks to condition dry and damaged hair. 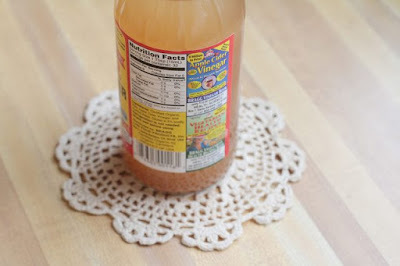 Herbalist Barbara Griggs notes that the basic hair conditioning treatment with eggs is simple. Beat one or two eggs. Apply the egg mixture to clean, dry hair, working from scalp to ends. Wait at least 30 minutes before rinsing with lukewarm water. Follow the water rinse with a shampoo. 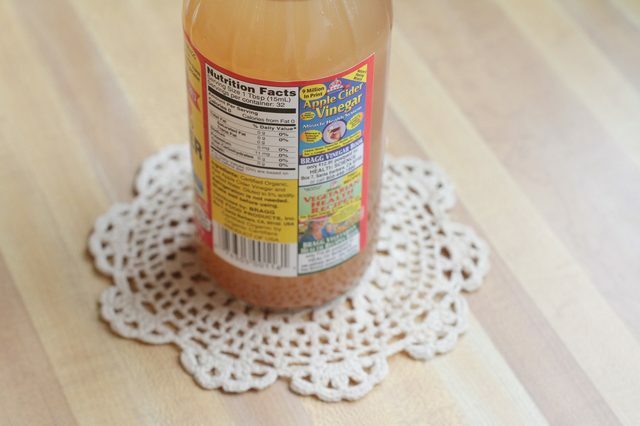 Complete the treatment with a homemade vinegar rinse. Combine the fatty and antioxidant richness of coconut and avocado with the eggs for a super-rich hair treatment, suggests GrannyMed.com. Mash half an avocado and mix with one egg yolk and enough coconut milk to form a paste. Work it into the hair from scalp to ends, leave on for at least 30 minutes, rinse and shampoo. Author Kathi Keville’s “Herbs for Health and Healing” presents a 19th century egg and henna protein pack. The henna adds auburn highlights while the egg counteracts the drying effect of the henna. Combine a beaten egg, 1 teaspoon olive oil, 2 tablespoons honey, 23 ounces henna, 24 drops lavender essential oil and enough lukewarm water to reach the consistency of cake batter. Work the mixture through your hair, cover it with plastic wrap, and leave on for one to two hours. Rinse and shampoo as described. Alternatively, substitute chamomile for blonde highlights and sage or clove for dark highlights. Use a fresh carton of eggs to avoid an unpleasant-smelling surprise when breaking open the eggs. Rinse the egg hair mask with cool or lukewarm water. Hot water will literally cook the eggs. For those squeamish about using eggs in their hair, other simple treatments to condition dry or damaged hair include a hot oil treatment with olive-rosemary or sesame-ginger oil or an apple cider vinegar rinse. 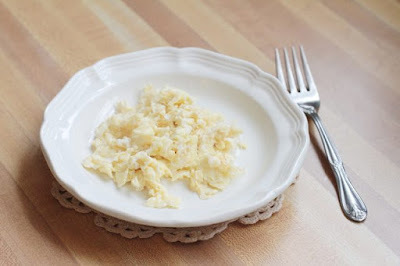 Eating eggs can be as critical to a healthy mane as applying them to your hair, as protein is hair's building block. Eat two servings of healthy protein each day, including eggs or egg whites. The B-complex vitamin known as biotin, which shows up in many shampoos and conditioners for topical applications, also results in thicker, healthier hair when taken internally. Sulfur fights hair-related conditions such as dandruff and clogged hair follicles. 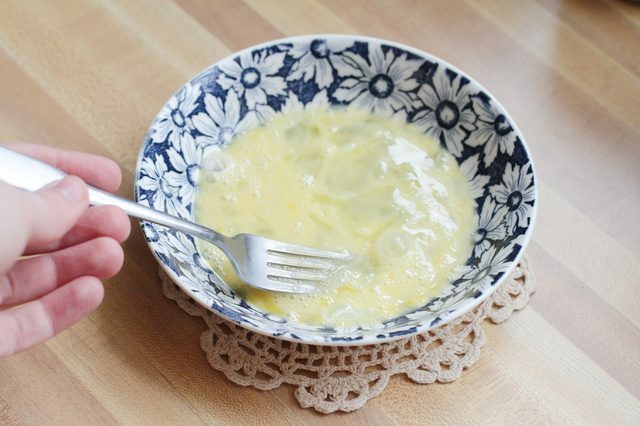 The University of Maryland Medical Center suggests eating egg yolks to increase your biotin and sulfur intake. Other sources include vitamin supplements, fortified cereals, corn and barley.